The Mexican Grand Prix was one for ending lengthy runs for the the team in red. Neither Sebastian Vettel nor Kimi Raikkonen made the end which meant it was Ferrari's first double non-finish, astonishingly, since the Australian Grand Prix in early 2006. The team's first in close to a decade in other words. 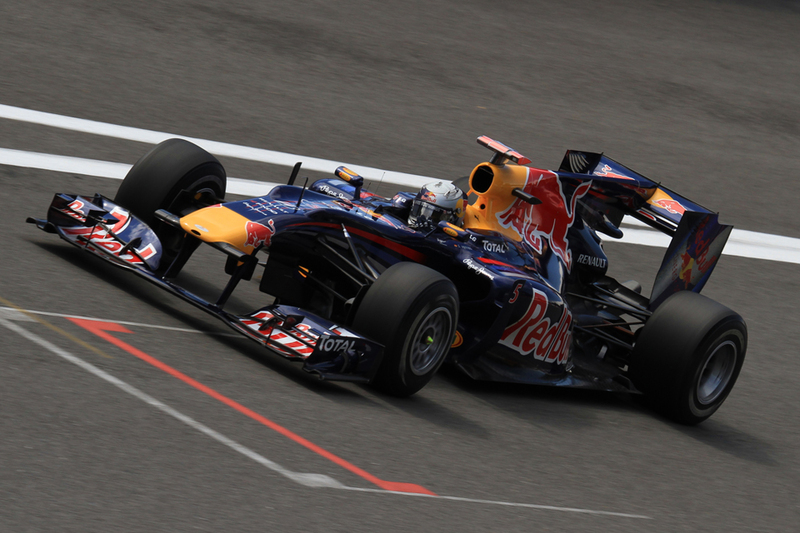 But for Vettel personally it also marked the end of a distance run. Him binning it out of the race was his first retirement due to an accident or spin in well over five years, since the Turkish Grand Prix in 2010 (yes, that one). And if even this didn't strike as being impressive in itself then add to it also that there was a time when Seb was roundly abused as F1's 'crash kid'. It sounds silly now, indeed it was rather silly at the time, but there once was a prevailing view in and around the sport that Seb went to pieces in wheel-to-wheel situations. That he couldn't hack it under pressure. That even he was a danger to others. Related to the barbs he was the sport's number one pariah of choice for a good while. To think too that a suggestion that lingered on rather longer was that Seb always had it easy in his time in F1. Not so. And his pariah status reached its peak in the Belgian Grand Prix of 2010. That day Seb ended the race of Jenson Button after losing control attempting a passing move and colliding with the McLaren. It was the latest of a number of incidents, some of which related to were his own errors, that contributed to him flagging in the points standings at a time when he seemed to take pole and lead almost everywhere. And after the Belgain race it was open season on Seb, with many - especially those from the Woking camp - lining up to trash his reputation. 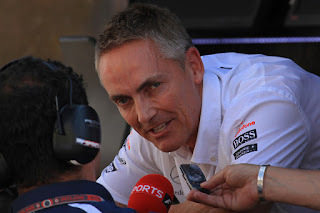 McLaren's then-team principal Martin Whitmarsh in particular twisted the knife, describing Vettel's move as "not what you would expect to see in F1" and "more reminiscent of junior formulae", as well as that his punishment (a drive through) was "pretty light". He didn't miss an opportunity either to suggest that the incident wasn't an outlier and that Seb was a serial crasher: "when you keep doing these things you have to reflect on what is on your mind on this occasion" he said. Nor did he eschew an opportunity to refer to the incident with Mark Webber earlier that year in Turkey, saying: "I would rather he did it (collided) with his team mates rather than do it with us". In addition Ted Kravitz in the BBC's TV coverage of that Spa race told us that a number of McLaren mechanics went out into the front of the garage facing the pit lane to perform a 'passive aggressive' stance as Vettel completed his drive through later in the race. It was an act that from its description sounded rather childish to me, but given McLaren's firm status as British national team at the time the British media didn't make a great deal of it. Not in the negative sense anyway. And even the normally mild-mannered Jenson had a pop, calling Vettel's move "weird" and alleging that Vettel was "rattled" and "confused". McLaren acolytes and others described Vettel routinely as, yes, the 'crash kid'. But if this was all intended to destroy Vettel then it can be said to have backfired spectacularly, as Seb went through his long dark night of the soul and came out stronger. Much stronger. He hardly looked back indeed, in that year's remaining races he went on a stellar run to win the title by a nose at the last race, even overcoming an almost certain race win being denied him by a late engine failure in Korea. He then won the title in each of the three years after that also, two of them dominantly. As for McLaren in the same period? Well you know that one. As outlined Seb hasn't always had things easy in F1. 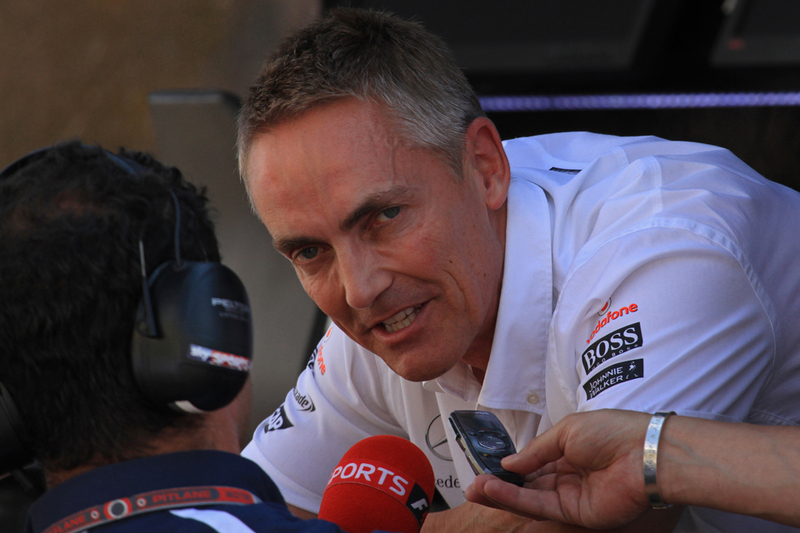 One also wonders if Whitmarsh and others at McLaren ever stop to reflect on what they, inadvertently, helped to create. Rather like an Oedipus-style Greek tragic figure, McLaren it seems in seeking a favourable fate for itself in fact laid the ground for a highly unfavourable one. And for the rest of us it's merely the latest reminder that we shouldn't be too quick in making our minds up about drivers. Really enjoyed this piece. I've been a huge Vettel supporter since he won the Italian GP with Toro Rosso in 2008. I remember thinking, this guy is special. All the negativity in the media and from other teams / drivers in 2010 was difficult to read as a Vettel fan. I remember reading all the comments in various blogs about his wheel-to-wheel racing. I must admit, I did think that used to be a weakness of his. Even during his 2011 dominance, there were still some lingering doubts. But, I will always remember the pass he made on the outside of Rosberg on lap 1 of the Australian GP the following year as the moment when he started to prove his doubters wrong. And ofcourse, his pass on Button in the closing stages of Abu Dhabi...Can't wait for next season and the potential of a Vettel v Hamilton battle. C'mon Seb! Thanks very much Jamie, very glad you liked the article :) I agree with you that his abilities in battle were a relative area of weakness of Seb's for a while (though I also don't think he was nearly as bad here as some tried to make out) and that he has improved a lot here over time. Like you too I often struggled to understand why some seemed so determined to do Seb down for such a long time. I suppose if this season has done anything it's made those saying that sort fo thing look very silly!